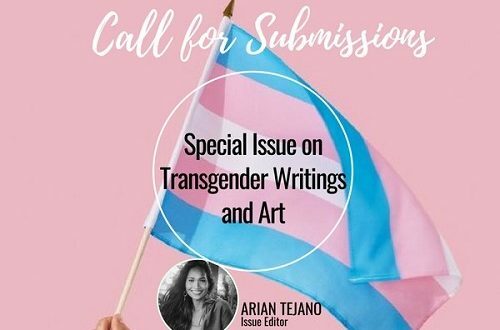 Payag Habagatan: New Writings from the South, a countercanonical literary journal of contemporary literatures from the southern Philippines, is now open for contributions to its Special Issue on Transgender Writings and Art. Activists’ manifestos from trans rights and allied groups (500 to 1500 words). Literary works in English and in Binisaya are welcome. Those written in other Philippine languages must be accompanied with a translation to either English or Binisaya.